The leading independent specialist for windscreen replacement and windscreen repair based in Ryde and serving all of the Ryde area. National Windscreens Ryde fitting centre provides windscreen replacement and windscreen repair services to businesses and individuals throughout Ryde and the Ryde area. 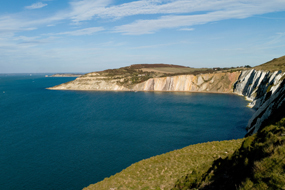 The Isle of Wight is a small island located off the south coast of England. The Island is accessed by frequent boats that sail from the port of Southampton to the Island. These boats are often filled with tourists who are coming to visit the picturesque countryside and coastline. In addition the island hosts an extremely popular music festival which sees thousands of people flock to the island every June. The town of Newport is the main town of the island and is where the main shops can be found. The Ryde windscreen fitting centre and its mobile vehicle glass technicians service the needs of Ryde and the surrounding area including Cowes, Yarmouth, Ventor and Newport. With 108 fitting centres and over 800 mobile technicians, National Windscreens operates the UK's largest windscreen repair and windscreen replacement network. The company provides low cost, high quality windscreen replacement and windscreen repair from its Ryde fitting centre 24 hours a day, 7 days a week, 365 days a year. Repair and replacement of all types of vehicle glass including windscreens, rear windows and side windows is undertaken throughout Ryde and all of the Ryde area.